As this week’s show aired twenty four hours before Thanksgiving 2014, we just had to start with the only Jamaican track to honor our day of overeating, football, and some thanks, Prince Buster’s sublime mid-tempo ska, Thanksgiving. A fun cut that was released in Jamaica on the “What a Hard Man Fe Dead” LP in 1967. We then surrounded that cut with two sets of tantalizing rocksteady, culminating with a Merritone label track from Hopeton Lewis entitled “At The Corner of The Street,” which up until recently was a long forgotten song on tape until the kind folks at Dub Store Records in Japan released it. When “Chubby” was recorded in 1961, the Rastafarian was still viewed as a cult by proper Jamaican society. This fact seemed to elude Buster who had always operated with a downtown ethic. 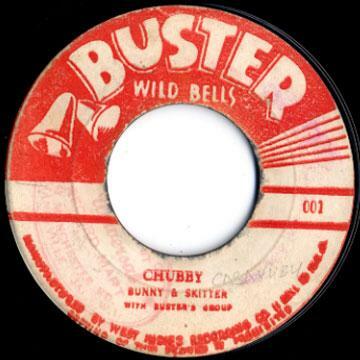 For this recording, Buster brought in the Nyahbingi drumming of Count Ossie and a team of four burro drummers as he had with the Folks Brothers R&B hit, “Oh Carolina” but here Buster removed the R&B elements to produce the first pure example of Nyahbingi drumming ever recorded in Jamaica which also proved a hit for Bunny and Skitter. 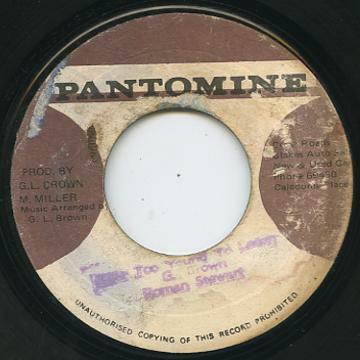 Shortly after the success of “Oh Carolina” and “Chubby”, several other Jamaican producers such as Coxsone Dodd and Vincent Chin would turn to Count Ossie for a hit. With Bunny and Skitter’s voices and the Count Ossie drumming, a musical revolution had begun. We were delighted to present the spotlight on Bunny and Skitter. Listen to this past week’s show HERE. The archive will be available until 12/8/2014. Enjoy! After a whirlwind of a fundraising show, we wanted to present a very special thank you show for all who donated and all who tune in each week to the Bovine Ska and Rocksteady. We grabbed some great tracks, which have never been played on the BSR, to share with you this past week including “Everybody Rocking,” a sensational rocksteady from Hopeton Lewis and an excellent cover of The Beatles’ “Rain,” courtesy of Tomorrow’s Children. To mix up the format of the show, we also played a full set of Jamaican soul tracks, including “Today” by Boris Gardiner, a too cool soul track perfect before a brand new spotlight of rare tracks from the reggae artist Roman Stewart (a.k.a Mr. Special). Known for his later tracks, particularly “Rice and Peas,” Roman Stewart recorded some phenomenal reggae songs in the early to mid 70s. As the younger brother of Tinga Stewart, songwriter and singer who saw popularity in Jamaica in the mid-70s, Roman Stewart had a parallel successful career to that of his brother’s. Born in 1957, Roman began singing at a very young age. As a young boy, Roman would sing with Freddie MacGregor by cruise ship docks to perform for the tourists as they arrived and left Jamaica. Like his childhood singing partner Freddie, Roman also began recording at a very young age, releasing his first track, “Walking Down the Street”, as an eleven year old for George Murphy and his Tennors label. After his first single, four years passed until Roman Stewart emerged as a solo recording artist. In the early 1970s, he would record for a range of producers, ranging from Derrick Harriot to Glen Brown to Augustus Clarke, not quite scoring a hit with any of them, but certainly showcasing his vocal talent. But, in 1974, Roman would gain much more popularity with “Hooray Festival,” a song penned by his brother Tinga, and the track that won that year’s Festival Song Contest. Until 1976, Roman would continue recording in Jamaica, recording Phil Pratt, Leonard Chin, and even taking a try at producing his own work. In 1976, Roman moved to New York, where he would live until he passed away far too young from heart failure in 2004. During his time in New York, Roman would gain the nickname “Mr. Special” from his great stage presence but also his amiable nature off of the stage. We were delighted to present the spotlight on Roman Stewart. Listen to this past week’s show HERE. The archive will be available until 12/1/2014. Enjoy! On this week’s edition of the Bovine Ska and Rocksteady, in honor of Fundraising Week at WMBR, we decided to pick a special theme for the show. 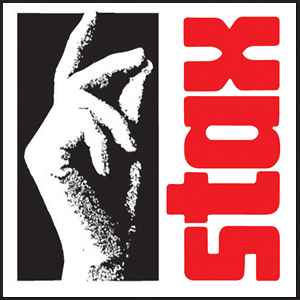 After a few weeks of debate, we finally settled on the winner in the wee hours of the morning a few days before the show….Stax versus Motown covers! Each artist from each label would get three songs to be represented by covers by Jamaican artists. With brilliant source material from these American soul champions, Jamaican stars such as The Heptones, Pat Kelly, Ken Parker, and Bob Andy recorded some incredible interpretations that we were thrilled to share for this special occasion on the Bovine Ska and Rocksteady. Decide who should win the battle between Stax and Motown by listening to the show HERE. Enjoy! The archive link will be available until 11/24/2014. THANKS TO EVERYONE WHO PLEDGED! SPECIAL THANKS TO KEVIN DAVLIA, SABINA MADDILA, and ELLE TRAIN for answering the phones. The Gaylettes do Dusty Springfield proud. We started the second hour with a spotlight, selected by Lily, on the Gaylettes. The Gaylettes were originally Judy Mowatt, Merle Clemenson, and Dawn Hanchard. As a trio, the girls first recorded as a group for Linford Pottinger’s Gaydisc label. However, after their earliest tracks did not lead to great popularity, Judy Mowatt returned to dancing, which was actually her original desired career path, and The Gaylettes went on hiatus. While dancing with a group in Kingston and selling products for the Colgate-Palmolive Company to survive, Judy met Beryl Lawson. While rehearsing a dance routine at the Baby Grand Club, Judy and Beryl began to sing together, and upon realizing their ability to harmonize together, Judy called over Merle Clemenson, forming a trio that would become the next incarnation of The Gaylettes. Good reputations for the girls formed as they performed together, and eventually the trio caught the attention of Lynford Anderson, an engineer and record mastering supervisor for WIRL in 1967. 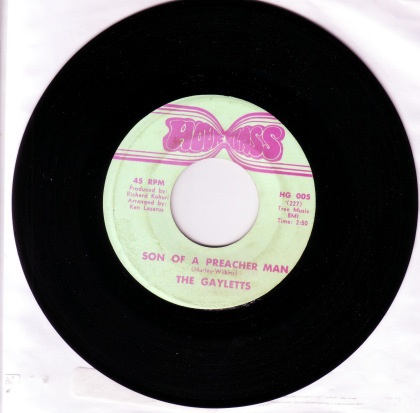 Anderson connected The Gaylettes to Lee Scratch Perry, who was at the time a freelance producer/engineer after his departure from Joe Gibbs’ stable. After hearing the girls perform, Lee Perry invited them to sing backup on “How Come.” Perry would continue to work with the Gaylettes while they recorded at WIRL. We played one of their only other WIRL tracks next, this time its a one that was not so dirty. After this last of the WIRL tracks, we then played The Gaylettes recordings for Merritone while they were under contract with Federal Records, where they would record their first big hit, “Silent River Runs Deep,” a track written by Henry Buckley. With Anderson as a major supporter of the Gaylettes, The group would continue to work with Lynford Anderson throughout 1969, seeing great success with spectacular covers of everyone ranging from Dusty Springfield to O.V. Wright. By 1969, they were the most popular female group in Jamaica, but at toward the end of the year, the Gaylettes broke up when Beryl and Merle immigrated to America. The Gaylettes were still under contract with Federal, so Judy went under another name and sang some solo tracks. Mowatt eventually became an “I-Three” along with Rita Marley, and Marcia Griffiths who would sing backup for Bob Marley throughout the 1970s. After a really lovely spotlight of one of the few prominent girl groups to come out of Jamaica in the 1960s, we ended the show with a long intense set of early reggae which featured a gem from Roman Stewart called “Fire At Your Heel” which came out on Sun Shot in 1975. Listen to the this 11/5/14 edition of the Bovine Ska and Rocksteady HERE. Enjoy! The archive will be available until 11/18/2014. Bovine Ska and Rocksteady 10/29/14: Happy Halloween with King Horror!!! This past week’s Bovine Ska and Rocksteady is one of our favorite shows of the year….the Halloween show!!! Given that the Bovine Ska and Rocksteady almost always needs a spotlight, this show has a special one from the most terrifying reggae voice of all, King Horror! This 1969 King Horror cut is pretty spooky! Much of the fun of the King Horror spotlight comes from the question: Who is King Horror? The real answer is that we have no idea, but we have a few suspicions. Across all accounts, the most likely answer is that King Horror was Lord Davey, who was produced by Laurel Aitken. Given the involvement of Laurel, there is some confusion surrounding who really performed on the King Horror tracks. On many of the tracks, it is clear that you do not hear Laurel‘s voice, which would confirm that King Horror is actually Lord Davey. 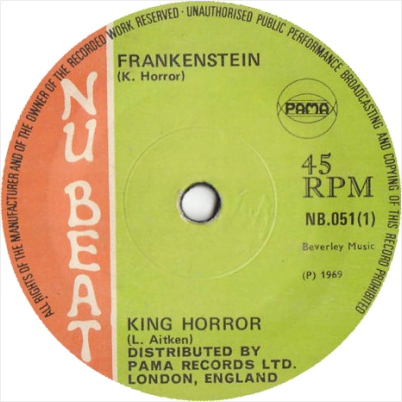 But, of course to make the identity more puzzling, it is believed that Laurel Aitken actually did cut a few singles as King Horror, but the rest of the singles were Young Growler, a calypsonian named Errol Naphtah Davy who immigrated to London from Trinidad in 1961. Given the name similarities, we could guess that Young Growler and Lord Davey are most likely the same person. While multiple sources point to Davy, there is another claim to the King Horror name out there. Joe Mansano, of Brixton’s Joe’s Record Centre, claimed that King Horror was one of his DJs known as Lloydie and Lloyd the Matador, not to be confused with Lloyd the Matador Daley. Lloydie was apparently not the best looking man, and consequently, Joe and his people began to call him King Horror. Regardless of the identity, all of these King Horror tracks feature eerie sound effects, great screams, and amazing reggae rhythms. Listen to the spooky edition of the Bovine Ska and Rocksteady HERE. Enjoy! The archive will be available until 11/11/2014.